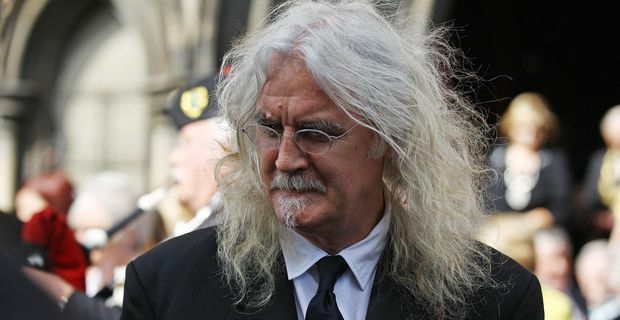 Scots comic Billy Connolly has undergone surgery for early stage prostate cancer. Shortly after the successful operation in America, the 70 year-old was told that he is also suffering from Parkinson's disease. The cancer treatment was effective. "The operation was a total success, and Billy is fully recovered," his spokeswoman said. "Billy has been assessed as having the initial symptoms of Parkinson's disease, for which he is receiving the appropriate treatment," she added, saying that the illness would not affect his busy schedule. "Billy has been assured by experts that the findings will in no way inhibit or affect his ability to work, and he will start filming a TV series in the near future, as well as undertaking an extensive theatrical tour of New Zealand in the new year." Connolly's career began in the folk clubs of Scotland before he branched out into comedy and acting. He has had some success with sitcoms in the US and continues to pick up parts in Hollywood movies. He is married to psychotherapist and former comic Pamela Stephenson. His friend Bob Geldof said that illness would not daunt Connolly. "He's as strong as an ox mentally from everything he's been through as a kid," Geldof said. "So I don't think this will deter him from being that individual that we know." Michael J Fox is the highest-profile Hollywood celebrity with Parkinson's. The illness affects individuals in very different ways. Steve Ford, chief executive at Parkinson's UK, told the BBC: "Many people, with the right medication, continue to live a full and active life with Parkinson's, but for some, it can be life-changing and it is vital that Billy gets the support he needs to live with this complex condition. We salute Billy's bravery in speaking out about his condition at this difficult time."